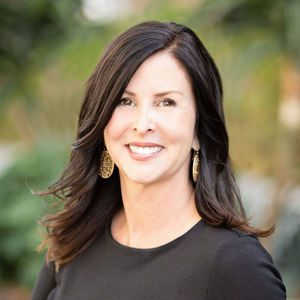 Born and raised in Huntington Beach, Erin offers a winning combination of business pedigree, real estate savvy, and local knowledge that truly sets her apart. Having achieved marked success working for several Fortune 500 companies, Erin quickly established herself as a top agent and has never looked back. Since 2002, Erin has successfully guided her clients through challenging market changes. She is money savvy—always aware of the financial ramifications of any transaction—and is well equipped to promote the tax advantages of home ownership. Buyers seek her out for her valuable financial advice and sellers maximize their opportunities by utilizing the services of her skilled marketing team. Erin credits her success as a Realtor to her steadfast commitment to being not only a professional advisor for her clients, but a close partner and personal resource. As a result, a strong majority of her new clients come as direct referrals from existing clients. A passionate advocate of the industry and the local community, Erin's marketing know-how and services portfolio are simply top-notch. Erin is a Huntington Beach Mom of two boys. She grew up in Huntington Beach and now her kids are enjoying the same carefree childhood. They love spending time at the beach and helping in the community.